Villa Kisirus located in Imerovigli. 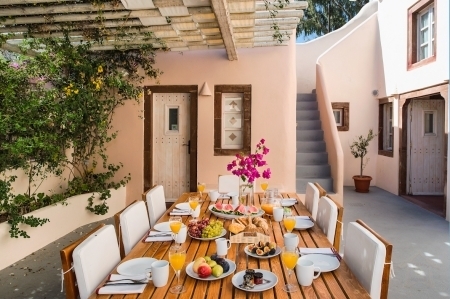 Away from the crowd and yet, so close to Fira town (15 min by foot), Kisiris Villa is a cool heaven of relaxation in one of Greece’s most vibrant islands. It makes the perfect base to explore the nearby tourist attractions of the island. 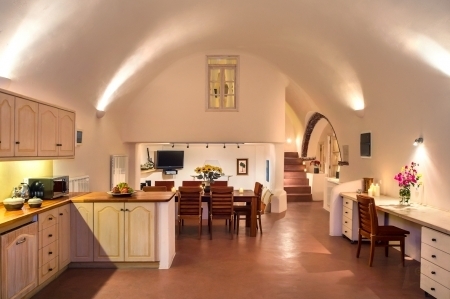 Built in 1857 and operated as a canava (winery), this old Santorini wine distillery produced traditional sun-dried wine up till the 1980’s. 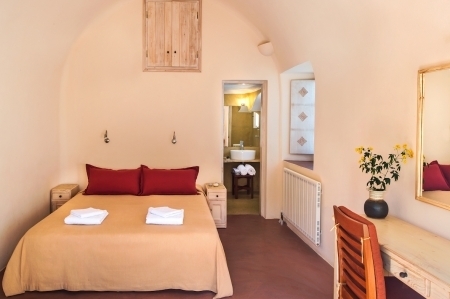 In 2007, the canava was sensitively renovated and was skillfully turned into Kisiris Villa. It developed into a brilliant blend of its traditional canava architectural originality with sophisticated luxury influences & modern facilities. 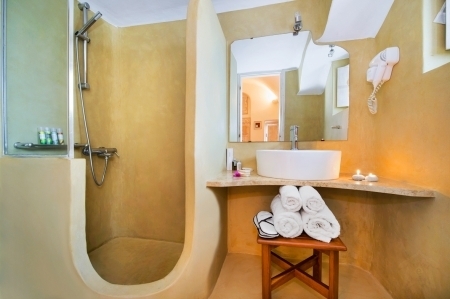 With all the amenities of a first class hotel and the intimacy of a beautiful home, the villa reveals a warm & elegant ambience through a rich blend of soft earth tones on its decoration. 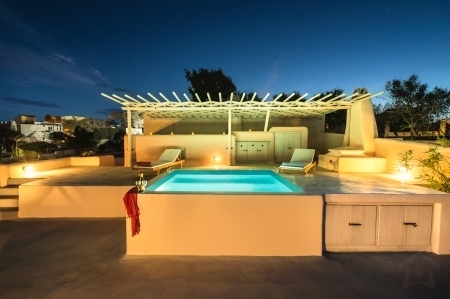 Villa charges 20% non refundable deposit upon confirmation by bank transfer or credit card. Any cancellation less than 21 days prior to arrival results in 50% payment of the entire booking. Any cancellation less than 7 days prior to arrival, non show and early departure results in 100% payment of the entire booking. Published rates are subject to revision without prior notice. Santorini is a life time trip! be in a full silver service dinner or a large wedding or a simple summer barbecue in the privacy of our Villa! 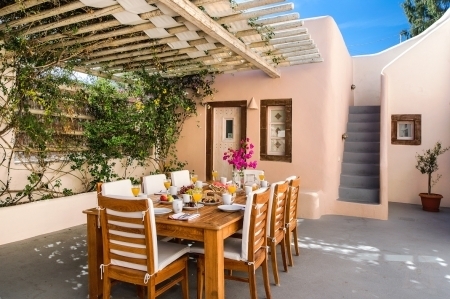 Enjoy the sun at the privacy of your terrace with sun loungers and table!